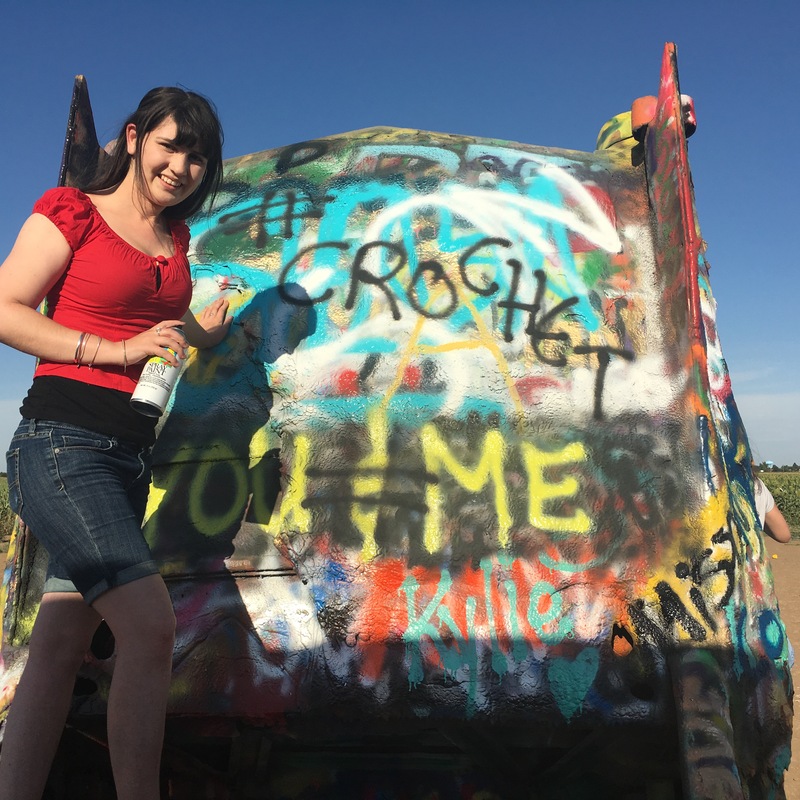 Three years ago I saw the article about the woman who crocheted her wedding dress. I loved the idea! So recently I got engaged and decided to look up a pattern. I found it on Revelry and purchased it. How hard could it be? Now, I make scarfs, shawls, and blankets. Nothing ever to be actually fitted and worn. The pattern was charted and looked fairly simple. To my surprise it actually was really easy! I got the suggested yarn off eBay and after 4 weeks of waiting it finally tuned up. I got the hook size and everything. So I started the pattern. Ok so I’m a weirdly proportioned girl, big bust, small waist, large hips. Nothing every fits correct. I’m also short. I measured a large on top, small waist, and medium hips. I decided to make a small and hope the yarn would stretch. I actually made the entire top portion of the dress before I realized it did not fit how I would like. Very loose and would be hanging low with the weight of the skirt. So I gave up and bought a real wedding dress! I actually love the pattern, It was simple. Just not for my shape. I worked each portion of the pattern up in one night. Front side 1 (one night) Left front (one night) Back (one night collar one night. I finished my first whirl! What an adventure! This is the first proper shawl I’ve made and not run out of yarn! 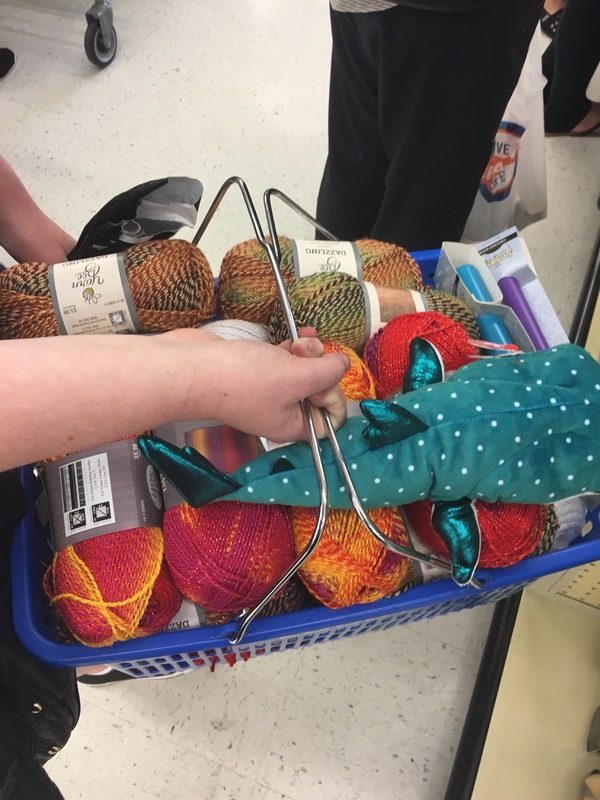 I ordered the Whirl from my local yarn place and picked it up that night! I knew I wanted to make this pattern as I love it and the name has a special meaning to me. Working with the Whirl was amazing, I used a 3.5mm hook. No knots or random joins and the colours just flowed. You can feel the quality compared to the cheaper options. This took about a week to make, it was very slow at the end! Girls, I’m getting married! And because i am crazy I’ve decided to incorporate as much crochet as possible. I have always loved the bunting used at Yarndale, really loved it. And now I have the chance to make it for an actual event. The reception space loves the idea and is keen for me to go over the top! I figured I need about 80 metres to fill the space. Each motif is 18cm with blocking, so I think i’ll need about 400 triangles. Help me! Here’s some fun facts, each triangle weighs 8 grams, and takes about 15 minutes. This doesn’t include end weaving, or blocking. I might invest in a steam iron to block with. I’ve not bothered with blocking before, but this pattern really needs it. So apart from miles and miles of bunting I’m also going to make flower garlands with a whole bunch of cotton. I’m going to use my thrifted crochet table cloths for the tables (luckily only 4 tables). Pinterest is filled with crochet bouquets but I don’t really like them, also my bouquet is real flowers. I might attempt a wedding dress, who knows though! What else can i make, realistically? 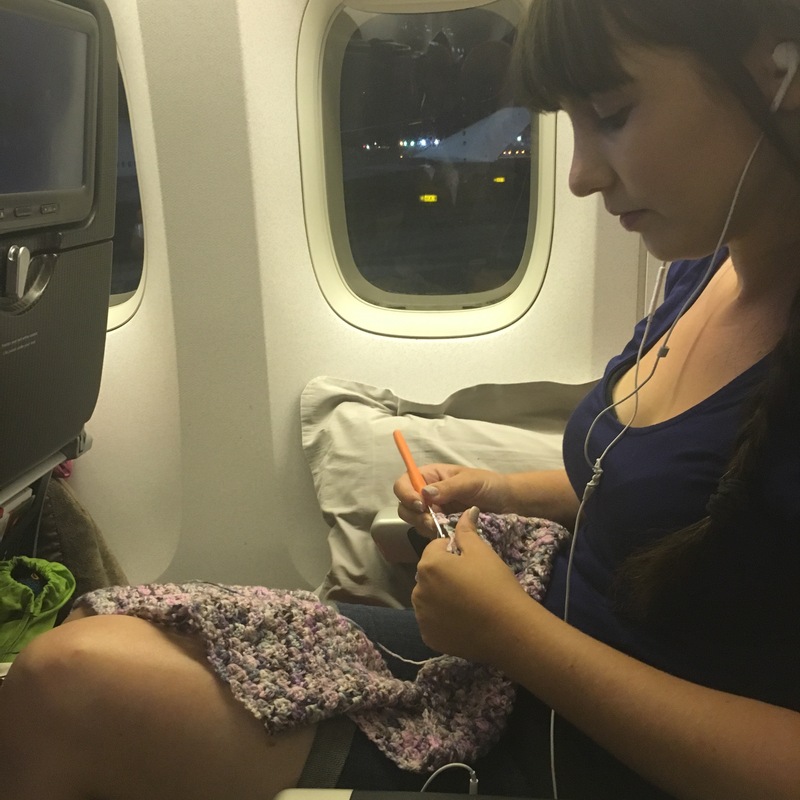 I enjoy both crochet and travel and have mixed them together on a lot of occasions. 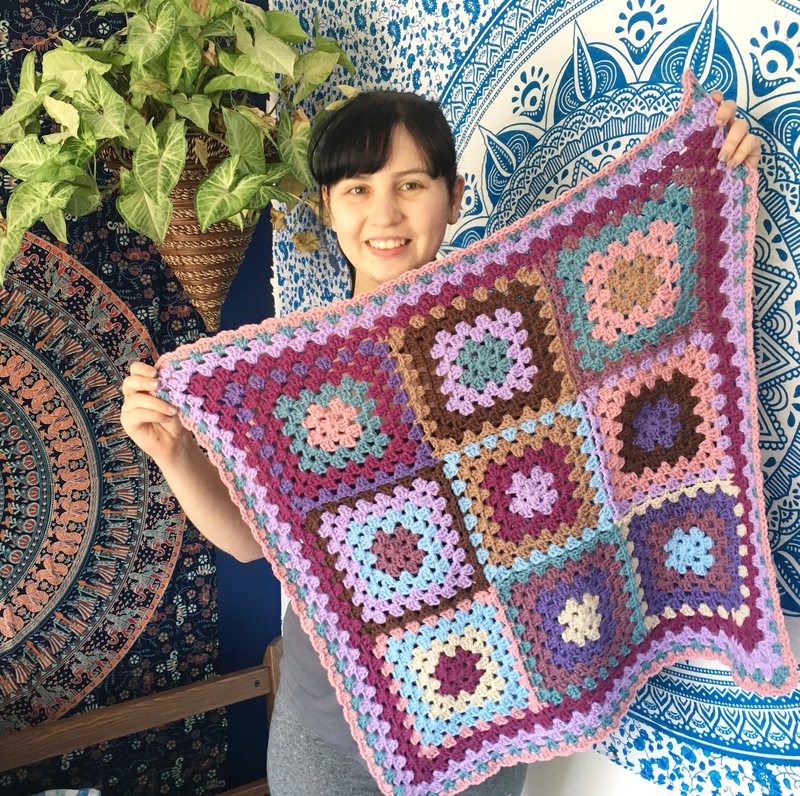 Crochet is one of those hobbies that can be really portable and can fill in those long hours. 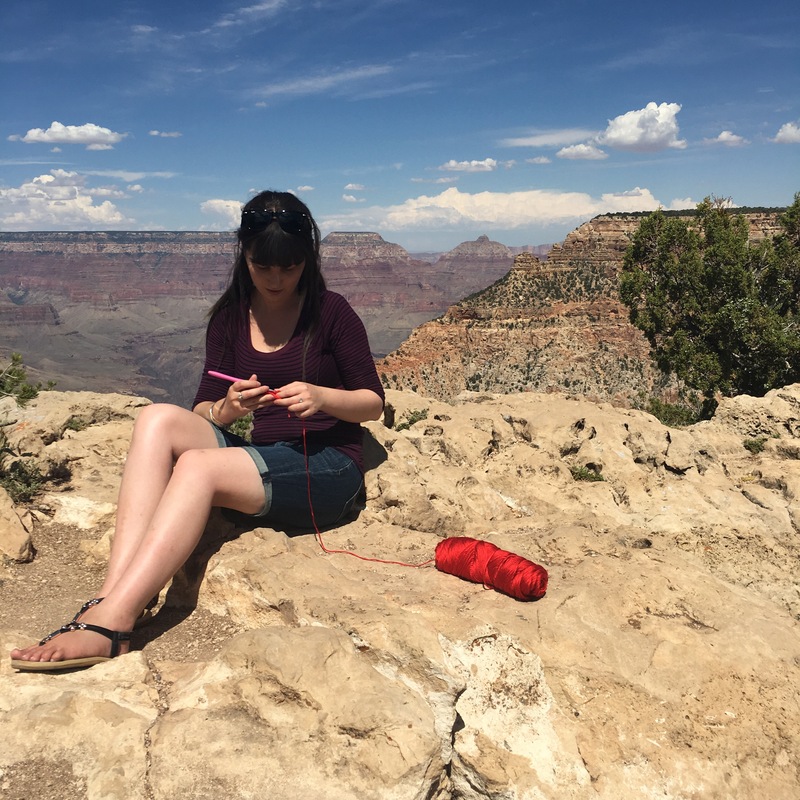 I crocheted on my USA trip and have come up with a few pointers and tips for anyone interested. Size. Don’t bring a giant double size blanket with you. It’s heavy and not practical. Bring something small or something you can sew together later. 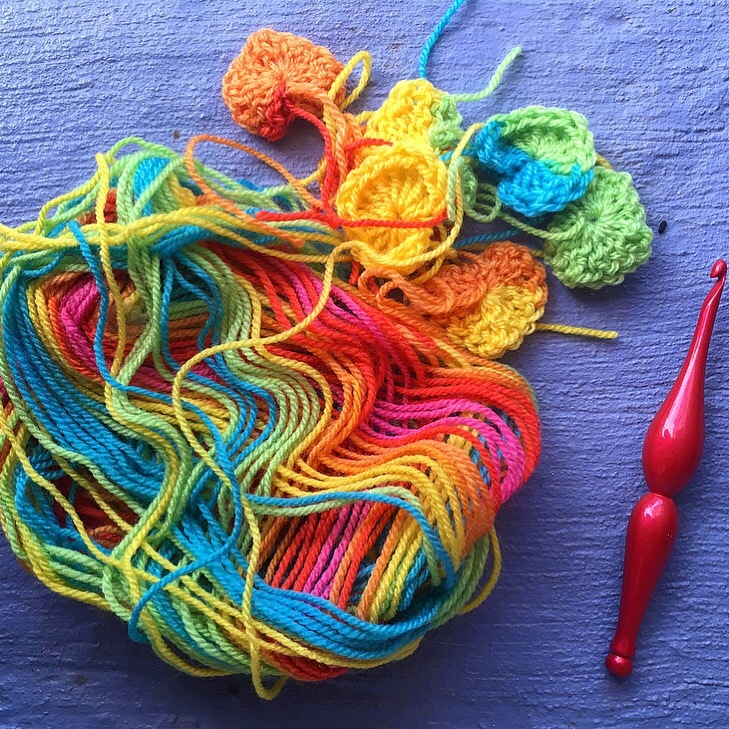 Make a few granny squares, a baby size blanket, a scarf, beanie, or shawl. Limit yourself to only a few colours. The last thing you want is to juggle 15 different colours. This takes up space in your bag and increases the risk of misplacing something. Stick to 3 balls of yarn. If you must bring heaps of colours rewind them into smaller balls. Storage. Project bags are a must. I have several made of cotton or organza. The opening is a drawstring allowing it to be fully closed but still be able to draw up the yarn. 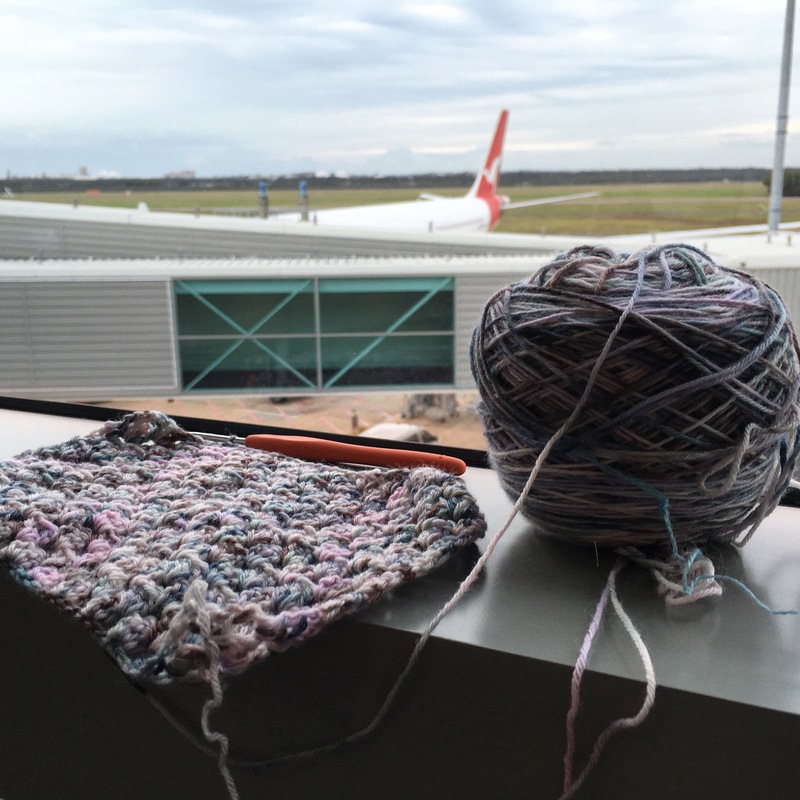 I travel with a normal sized handbag which allows for 1 ball of 100g 8ply yarn. This is an awesome size as it isn’t too bulky. Watch out of liquids in your bag (or nature) from spilling on your project. Looks. People will look, people will be curious. It’s something you have to deal with. 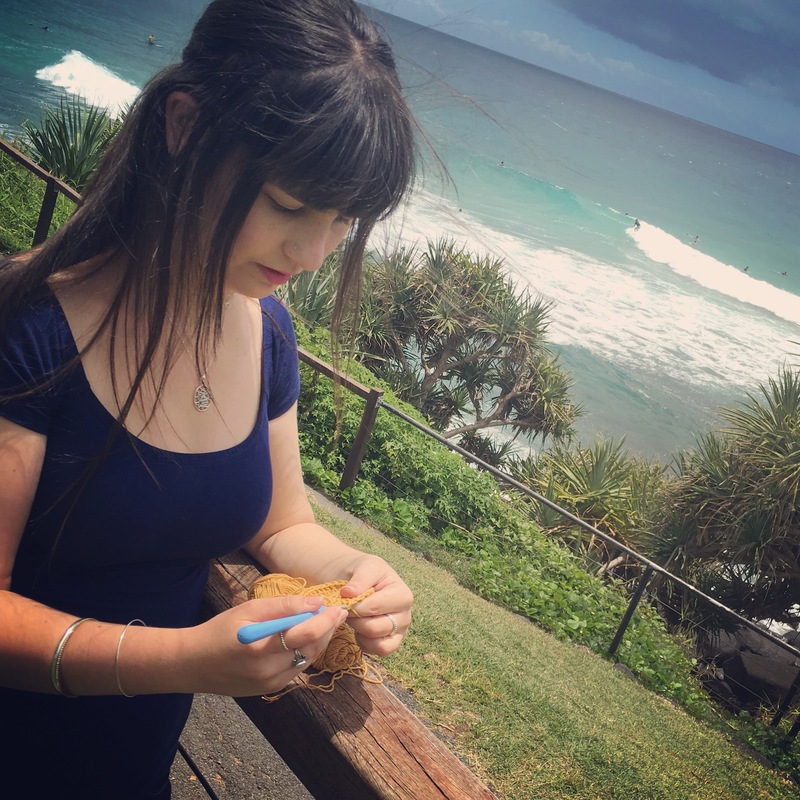 I go into my own world and don’t even think about it, my sister seems to notice it more. Goals. Don’t set goals, enjoy your holiday. If you don’t feel like crocheting, don’t do it. There is nothing better than a simple granny blanket. I ordered this yarn without a project in mind and after a lot of research I just went back to a granny. I’m trying to make smaller blankets right now so they are more practical for strollers and babies, plus they work up quick and Im less likely to get bored. 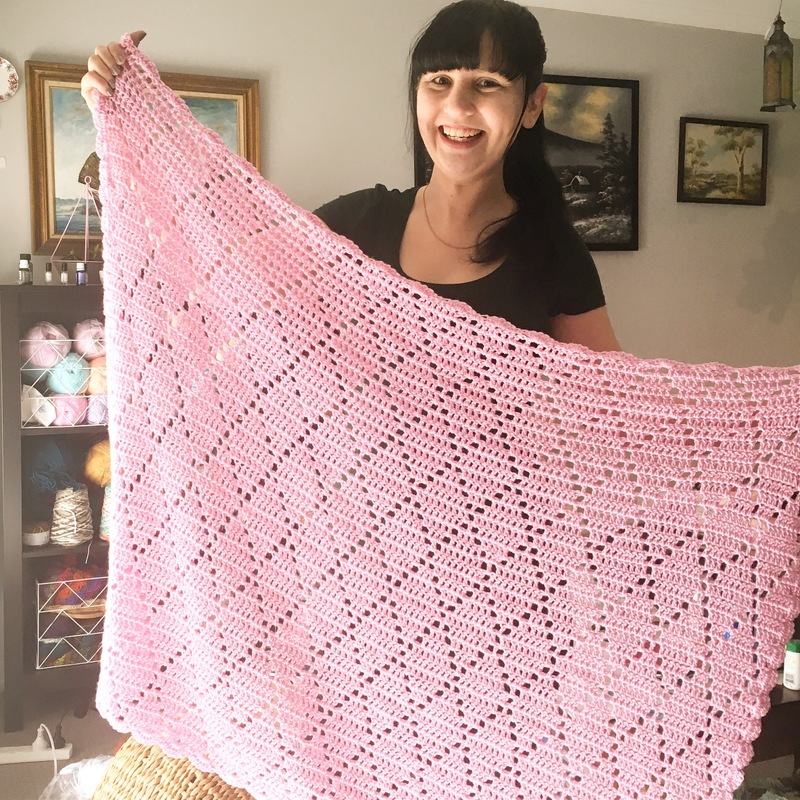 This will be the first of many Baby Granny Blankets!